o A staple since prehistoric times, bread is made from grains that have been ground into flour or meal, moistened and kneaded into a dough, and then baked. o Except Asia, where the preferred grain is rice, bread has long been a world wide staple. o The discovery of fermentation is attributed to the Egyptians, who also invented baking ovens. o Bread is high in complex carbohydrates and a good source of B vitamins. o Whole grain bread is higher in protein, has twice the fiber, and generally has more vitamins and minerals than white bread. 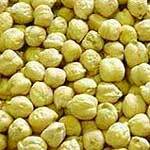 o Grains, seeds, nuts and fruit can be added to bread for flavor and texture. o Unleavened bread (e.g. matzo) uses no leavening and therefore is quite flat. o Quick breads require no kneading and use baking soda, baking powder or eggs to leaven the bread. o A yeast batter bread uses strenuous beating instead of kneading to the same end. o Made with a mixed wheat and rye dough, the light rye breads are popular in the United States. o Dark rye breads are common in Europe. o Pumpernickel is a type of German sourdough bread made with a combination of rye flour and rye meal. 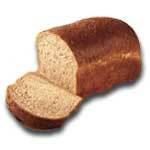 o Pumpernickel bread is associated with the Westphalia region of Germany.